This summer, our friend Dennis Santiago made his first-ever pilgrimage to Camp Perry, Ohio to compete in the National Matches. He recounts his experience in a fascinating, informative, and often humorous story on his Dennis Talks Guns Blog. When you have a few moments to spare, you should definitely read Santiago’s account of his First Time at Camp Perry. This is much, much more than a match report. Dennis gives insights into the human side of the experience — and the little things that make Camp Perry so special. CLICK HERE to Read Full Camp Perry Story. Dennis competed in a number of events during his two-week stay. Shooting “classic” service rifle and his new scoped, “modern AR” service rifle Dennis competed solo (in Presidents 100 and NTI matches among others) and also as a member of the California Adult Team in the 4-man NTT match. 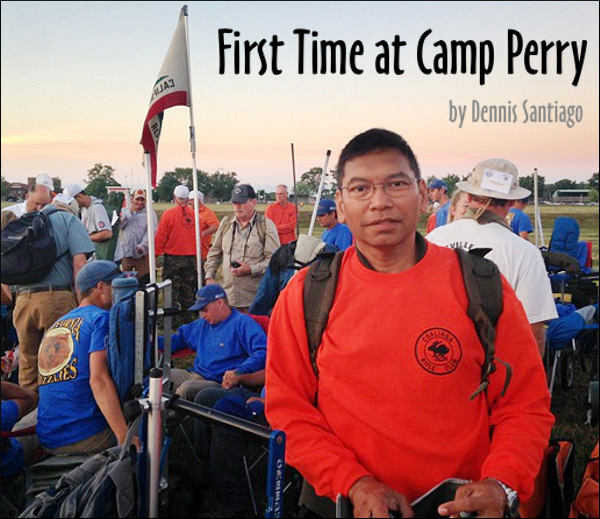 Santiago’s First Time at Camp Perry report is a “must-read” for anyone contemplating a Camp Perry visit. Here are some highlights — but honestly folks, do read the entire story — it’s well worth it. This range is kicking me hard. I tell people about how hard I was pushing my eye into my aperture. They smile that “welcome to Camp Perry” smile again. They ask what sights I’m shooting on my A2 and I tell them I’ve got an 0.050″ front and 0.038″ rear to maximize depth of field. They smile more broadly and tell me my problem is that I’m from the Western provinces where the sun is bright and the ground is devoid of flora. Lots of light. It’s green here and we have clouds I’m told. Not nearly the same ambient lighting. You have the wrong sights my son. Where the green grass grows you want a big fat 0.072″ front the size of an aircraft carrier deck and a huge 0.046″ hole in the morning and maybe close it down to an 0.042″ rear aperture later if the sun comes out. But that desert glare sight system of yours will lose you about 5-8 points in these parts. Well there you go. Learn something every day. Walk the Base. Do not drive around. Get used to walking. Walk from your hut to everything. Walk to the administration buildings. Walk to the ranges. Walk to commercial row. Walk to the CMP North Store. Walk to the CMP or Army trailer to have the triggers of your rifles(s) weighed. Walk. This is your primary mode of transportation while on base for the next couple of weeks. Go Shopping. It’s called Commercial Row. It is the best shopping mall for competitive shooters ever. The sale prices here are Black Friday quality. You stock up on supplies. You can buy elusive powders in quantity with the same lot number. Same with bullets and primers. Everything you need to keep making your pet loads. Oddly, not cases. This is a service rifle tournament. Pretty much everyone is using LC or WCC cases. I stocked up. Then I began politely watching my expected cubic feet and gross weight capacity for the drive home as other people asked if I could take stuff back for them instead of shipping their loot. Learn about the Perils of Perry. One, evacuate the range. It rains at Camp Perry. Sometimes that rain comes with lightning. When that happens range controls issues an evacuation order. Depending on where you are and how much time you have, you either grab your stuff and make for a sheltered structure or leave your stuff under whatever rain cover you have and leave it there until the storm cell passes. This happened on squadded practice day. There was no squadded practice. There was learning to make a better rain cover for the next two weeks because it’d probably happened again. I was particularly proud of my final design which involved a very large tarp and many bungee cords. Modern art to be sure. I received many compliments. Peril Two — Cease fire, boat in the impact area. One has not truly been to Camp Perry until your shooting string is put on hold while range control sends someone out to tell an errant yacht or jet ski that it’s not a good idea to go into that area with all the buoys with the signs on them that say, Danger. Live Fire. Keep Out. 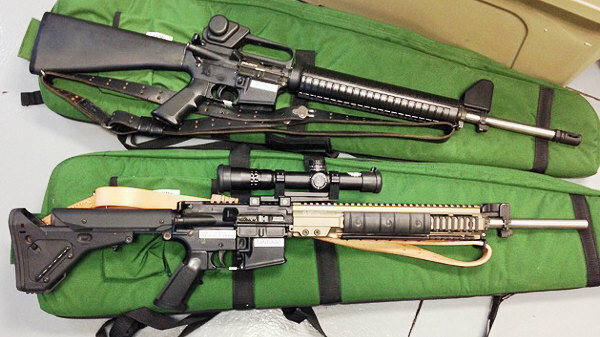 I brought two rifles with me to Camp Perry. The first was my iron sights-configured AR-15. Being my very first trip to the Nationals, I wanted to check off a bucket list item to shoot irons at a National Match. The gun has a Geiselle trigger and an upper I assembled from White Oak Armament parts. The barrel is a Krieger that had 3,800 rounds arriving at Perry. The sights are pinned 1/4×1/4s. I run Sierra 77gr SMKs short line and 80gr SMKs seated .015″ off the lands Long Line with it. 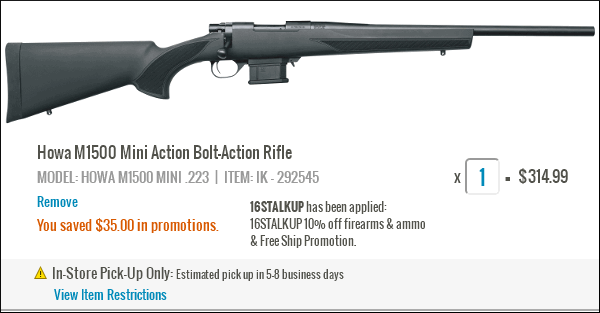 The other rifle I brought was for NRA week. It’s a 2016 Rule Service Rifle, Optic. It has a collapsible UBR stock and a Geiselle Mk VII quad rail. The barrel is an older DPMS .223 that was cryo-treated back in the day. Round count on arrival at Nationals was around 1,800. Same ammunition combination [as the iron sights rifle]. The chamber on this barrel has a shorter throat so I brought a Lee Hand Press with an RCBS competition seater die to set the 80gr SMKs back to proper jump for NRA week. The sighting system for this gun was one of the very new Nightforce 4.5X Competition SR’s with the CMP R223 reticle. Parallax is set to 200 yards. 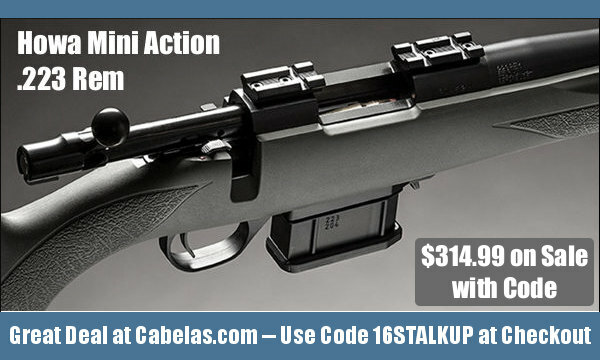 It’s mounted using Nightforce’s superbly engineered AR-15 service rifle Unimount. 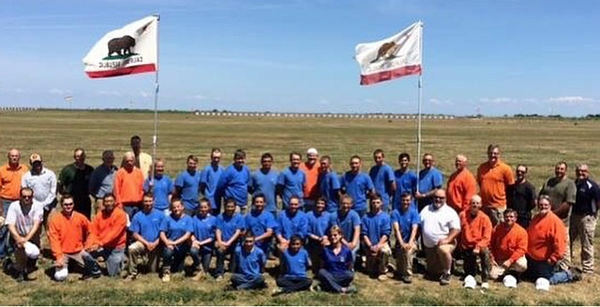 Members of the State of California Teams at Camp Perry. Dennis is front row left. I coached one of the California teams in the NTIT Rattle Battle match. This was the day I finally began to be comfortable at Camp Perry. Walking up and down the field, first as a verifier and then as a coach, I felt back in the game. At team matches you get to confer with your teammates comparing wind calls and observing the effects of their calls as the shooting members of their squads send rounds downrange. You watch the traces of bullets arcing in the air going left or right of the bull’s center depending whether or not the call was right. This process was cathartic. I began to remember that I really can read a range once I get the hang of it. Share the post "Dennis Does Perry — Two Weeks at the National Matches"